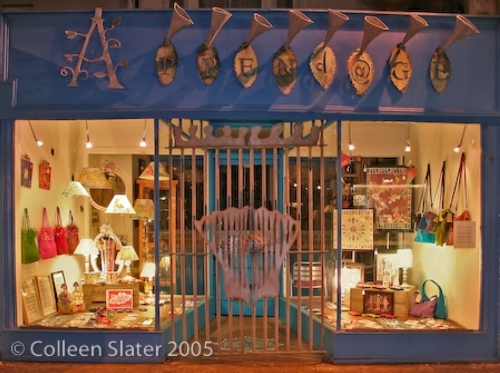 Colleens work is now being sold in Appendage in Kensington Gardens, Brighton. Appendage is both a gallery and a shop with a strong identity: vibrant colour, pattern and texture are key elements of the work displayed. They include jewellery, textile, ceramics, mosaic, glass hangings, felt, embroidery, knitwear, print and collage. Emphasis is given to different media throughout the year although some ranges are stocked continuously, a particular artists work may be featured for a limited period only. It’s a wonderful venue which showcases some of the best art, craft and design work by Brighton makers, British designers and occasionally artists from further afield.